I am SO excited for this kit release today...because it's my kit! 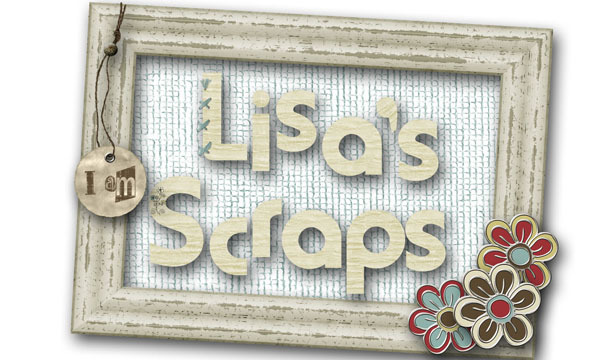 I can't take credit for making it, but the lovely ladies of Scraps N' Pieces designed it just for me. And of course I'm dying to share it with all of you. I chose the color palette from fabric I used to make my daughter's car seat cover. It was brown with bright flowers all over it! Then I spent a week this summer at an LDS Girl's Camp working with teenage girls and had tons of cute pictures. The 2 just came together....bright fun colors, and bright fun teenage girls! 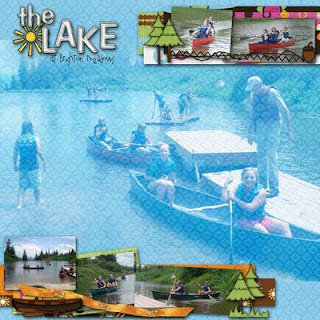 I couldn't think of a name, so SNP did a contest on their blog and I chose Girls Can Camp Too from all the great ideas. It was better than my first boring title: Girls Camp because it did emphasize that it's a kit full of camping stuff made for girls, and it makes a statement to all the men out there who think we can't rough it! We sure can! As I mentioned, it has great bright colors and they made the most darling elements and alpha. 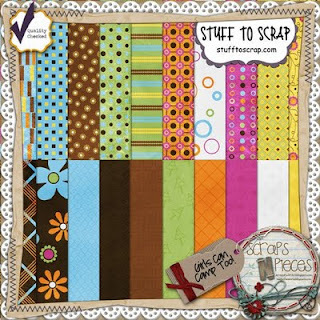 The previews link it right to the Scraps N' Pieces store where it's on sale for $3.50 for 3 days. 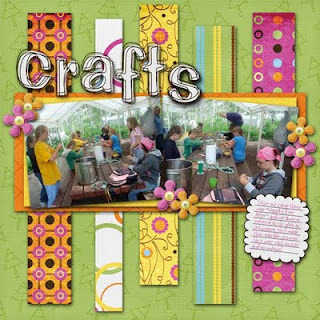 This includes the cardstock pack. 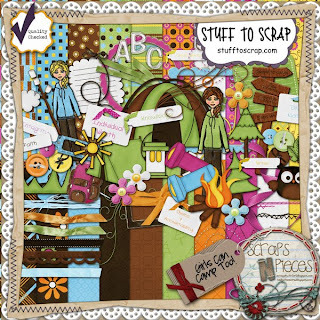 As always, you can also shop at here at Stuff to Scrap to get cardstocks separate, or buy it combined at here at MyMemories if that's your favorite store. Here are the pages I have done so far...I still have lots of pictures to do! oh, and a freebie? Love to...come back soon! Thank you so much for this post. 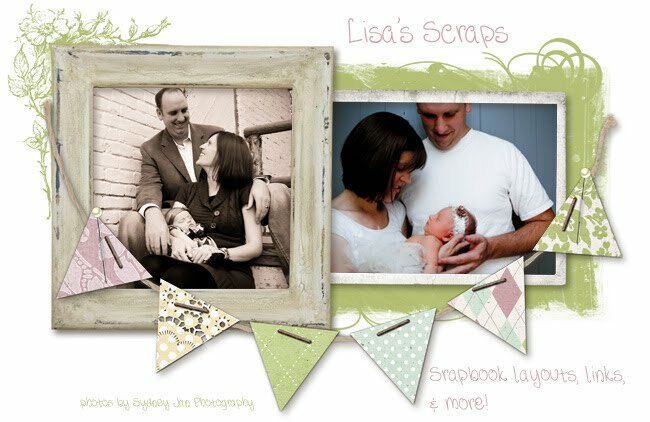 I want to let you know that I posted a link to your blog in CBH Digital Scrapbooking Freebies, under the Page 2 post on Sep. 16, 2011. Thanks again.